Soraya Chemaly is an award-winning writer and media critic whose writing appears regularly in national and international media including The Atlantic, The Nation, Verge, Quartz, TIME, Salon, and The Guardian. She speaks frequently on topics related to gender inclusivity, free speech, sexualized violence, data and technology. 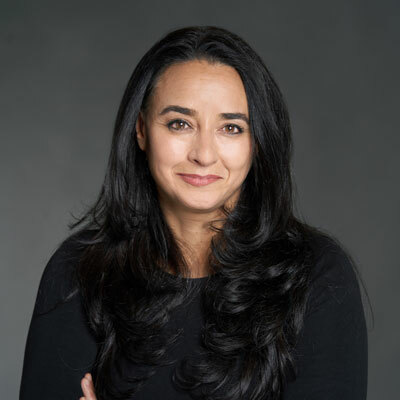 She is the director of the Women’s Media Center Speech Project and serves on the national boards of the Women's Media Center and Women, Action and the Media, as well as on the advisory councils of the Center for Democracy and Technology, VIDA, and Common Sense Media. As an activist, Ms. Chemaly has spear-headed multiple successful campaigns challenging corporations to address online harassment and abuse, restrictive content moderation and censorship, and institutional biases that affect free speech. Prior to 2010, Ms. Chemaly spent more than fifteen years as a market development executive and consultant in the media and data technology industries. In 2013, Soraya won the Association for Education in Journalism and Mass Communication’s (AEJMC)'s Donna Allen Award for Feminist Advocacy and the Secular Woman Feminist Activism Award. In 2014, she was named one of Elle Magazine's 25 Inspiring Women to Follow in social media. In 2016, Soraya was the recipient of the Women’s Institute for Freedom of the Press’s Women and Media Award. In 2017, she was the co-recipient of the Newhouse Mirror Award for Best Single Feature of 2016 for an in-depth investigative report on free speech and online content moderation, The Secrets of The Internet, and a Wikipedia Distinguished Service Award, for exemplary contributions to the advancement of public knowledge and the collection, development, and dissemination of educational content. She is the author of the upcoming book, Rage Becomes Her: The Power of Women’s Anger. You can find her on Twitter at @schemaly.